Bio: Professor of City and Regional Planning at the University of California, Berkeley. Chapple, who holds the Carmel P. Friesen Chair in Urban Studies, studies the governance, planning, and development of regions in the U.S. and Latin America, with a focus on housing and economic development. Her recent book (Routledge, 2015) is entitled Planning Sustainable Cities and Regions: Towards More Equitable Development. She is currently finishing two books: Transit-Oriented Displacement? The Effects of Smarter Growth on Communities (with Anastasia Loukaitou-Sideris, MIT Press, 2018), and Fragile Governance and Local Economic Development: Evidence from Peripheral Regions in Latin America (with Sergio Montero, Routledge, 2018). 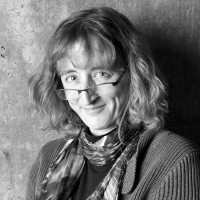 She has most recently published on job creation on industrial land (in Economic Development Quarterly), regional governance in rural Peru (in the Journal of Rural Studies), and accessory dwelling units as a smart growth policy (in the Journal of Urbanism).